Plums are native in China where they were cultivated for thousands of years, America as well as Europe. Romans are meant to have introduced them into Northern Europe and the Crusaders are believed to have brought the damson trees back from Syria during their trips into the Asian continent. There were over 150 varieties of plums back in the late 19th Century and there are more than 200 varieties today. The main ones being dried are Prunes D’Agen in France, Santa Clara in California and now lately Chile. 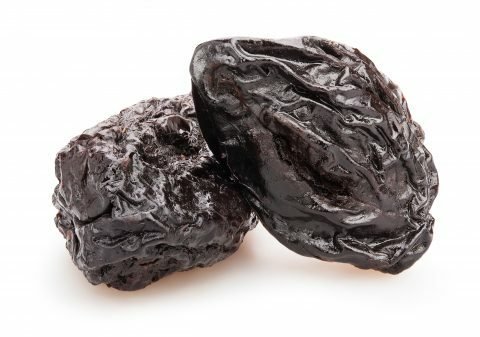 Plums, hence prunes, are high in carbohydrates, low in fat and low in calories. They are an excellent source of Vitamin A, calcium, magnesium, potassium and fibre.